Beginning the search for a new or used car is an exciting time in the life of any driver. It doesn’t matter if you were just issued your very first driver’s license, or are a seasoned driver here in New York – the thrill of looking through cars for sale, and finding the perfect one for your lifestyle, is undeniable. Another undeniable fact, is that winters here in Albany, New York are brutal. The season tends to last longer in our corner of the United States, bringing with it greater snow accumulations, and all the driving hazards that accompany them. 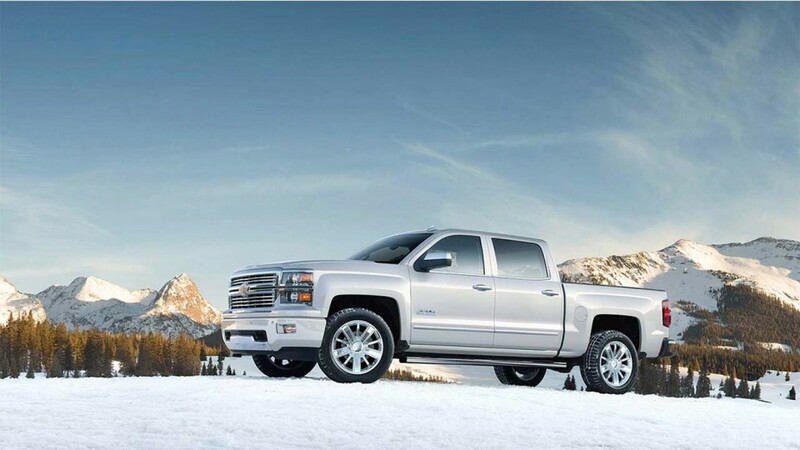 Rather than be caught off guard again this winter, consider purchasing a winter-ready vehicle from DePaula Chevrolet. You don’t have to drive around in a full size Chevy Silverado pickup to confidently navigate the snow-covered streets this winter. America’s favorite automotive brand has a great lineup of vehicles that are capable of getting you safely through the winter months in Albany. Not only are these cars, trucks, and SUVs up to a blustery winter challenge, but their versatility makes them a great everyday vehicle for the rest of the year as well. Before we get into specific models, let’s check out a few of the most important factors that you should consider when looking for a winter capable vehicle this year. Drivetrain: Living in upstate New York, choosing a vehicle with the correct drivetrain is critical. Rear wheel drive, for example, is a definite “no no” when choosing a winter-capable car. While these vehicles fare great throughout the rest of the changing seasons, they are one of the worst performers when it comes to snow and ice. Front wheel drive is the next possible choice, but again, is not ideal for drivers who need a car that can expertly navigate through hazardous winter driving conditions. All-wheel-drive is one of the most versatile options for car shoppers who live in an area that experiences extreme changes in seasonal weather. Vehicles with all-wheel-drive function very well in dry, wet, and icy road conditions. They typically enjoy better fuel economy ratings than vehicles with four-wheel-drive, and are more functional in everyday driving conditions. Last, but not least, is the option of four-wheel-drive. Vehicles equipped with a capable four-wheel-drive system are able to traverse rough terrain and slippery conditions with ease, but their major downside is high fuel consumption, and poor everyday functionality. Many of today’s vehicles with four-wheel-drive offer drivers the option to turn the system on when they need it, and off when they don’t. Drivetrain is incredibly important when considering a winter-ready vehicle, and generally comes down to a driver’s personal preference. Whichever one you choose for your car, be sure that you research and test drive different options prior to picking just one. Safety Systems: Advanced safety technology is very important for today’s drivers, especially when choosing a vehicle for winter road conditions. Lane departure warning, rear backup camera, side blind zone alert, and forward collision warning, are just a few examples of the many systems that are now available on new Chevrolet cars for sale. All of these advanced safety options give drivers added confidence on the road, and are exceptionally handy when the fall weather switches over to winter. Stability Control: Losing control of your vehicle on icy or otherwise slippery roads happens to winter drivers in New York on a daily basis. Chevrolet’s StabiliTrak Electronic Stability Control System with Traction Control, helps mitigate that hazard, and gives drivers peace of mind knowing that their vehicle is working to keep them safely on their intended path. Not every automotive manufacturer has put as much effort into discovering an advanced traction control system as Chevrolet has devoted to this all-important feature. Tires: Driving a vehicle with proper tires during the winter, can mean the difference between staying on the road, or ending up in the ditch. Buying a vehicle equipped with all-weather tires is helpful, but is not necessarily essential. Switching the tires on your vehicle during the winter months can be a hassle, but is definitely feasible. If your new car came with standard factory tires, replacing them with a more capable option is easy enough to do, and will cost you less than buying a new car altogether. Size and Weight: Simply put, a larger, heavier vehicle is easier to control on slippery road surfaces. Driving a Smart Car may be a smart choice for drivers in a state like California, but certainly not for drivers needing to navigate winters in Albany, New York. But, you don’t have to drive a massive, clunky heap of metal to stay safe. There are plenty of great options in the Chevy lineup that meet the basic requirements, without being over the top. The bowtie brand has an exceptional lineup of cars, trucks, and SUVs for the 2017 model year. With plenty of options to choose from that meet the above requirements, you won’t just love driving your new Chevy in the summer, you will be able to confidently tackle even the worst New York winter. The all new 2017 Chevy Trax is available with the bowtie brand’s capable all-wheel-drive system, and offers more advanced safety options than any other vehicle in its segment. For drivers who want the capability of an SUV without the large size, the compact crossover Trax is the perfect solution. The Suburban is Chevrolet’s largest vehicle offering, with seating for up to nine passengers, and plenty of space for all of their belongings. With four-wheel drive, and a maximum 355 horsepower rating, the 2016 Chevy Suburban can handle anything Mother Nature has in store, and then some. The Trax and Suburban are just two of the many winter-capable vehicles in the Chevrolet lineup, available here at DePaula Chevrolet. Come down and take each of these capable vehicles for a test drive, and decide which one is the perfect complement to your lifestyle. Don’t delay, come to DePaula Chevy today, for a great inventory of cars for sale, from the best car brand in America.